It may not be everyone’s favourite travel destination, but for Philip Loring, expeditions to the Arctic have become his passion. Loring, an assistant professor in the University of Saskatchewan's School of Environment and Sustainability, regularly makes the long trip north to chronicle the challenges facing Arctic villagers due to the eff ects of climate change. "I am very passionate about this project," said Loring. "In particular, I'm hoping that we can do research that empowers local people to take control over how the future of the Arctic and their communities plays out. In the last hundred to hundred and fifty years, the North American Arctic has been rapidly remade under the infl uences of colonialism, globalization and natural resource extraction. Climate change is just the latest development in that trend, but one with unprecedented consequences for local peoples and cultures. "With this work I want to raise awareness about this as a social issue, but I also want to produce information and ideas that local people can use to build the future they want." Loring and his team's work is now featured in Sea Ice Secure, the first in a series of new shortformat documentaries produced by Sustainable Futures North (SFN). 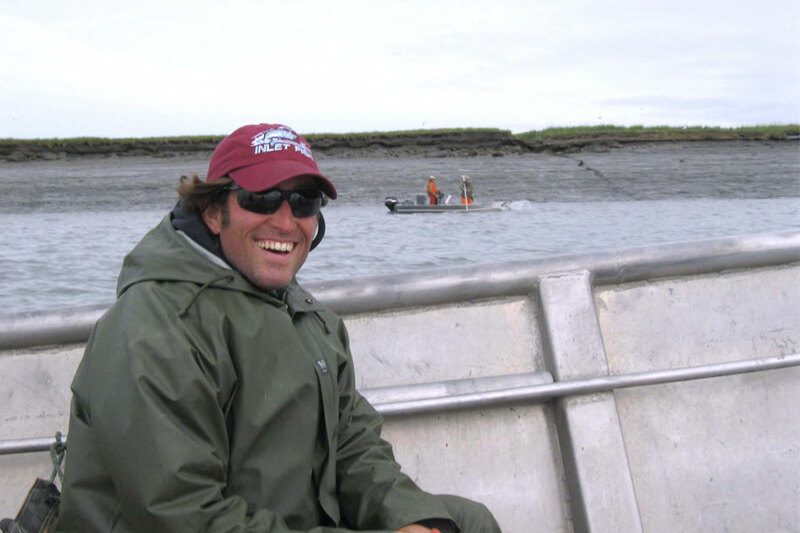 The series showcases how rapid changes in climate, weather and development are aff ecting the daily lives of hunters, fishers and gatherers in rural Alaskan villages. The film recently earned an honourable mention in the 2015 Greenpeace short film contest that featured more than 500 climate change documentaries. "The video series features local voices and experiences and shows how residents of the North, while vulnerable in many ways to climate change, are actively pursuing innovative solutions," said Loring. "Too much of the Arctic dialogue focuses on what climate change might mean for new business opportunities such as shipping and oil development. There's a real social justice implication to climate change that these videos highlight." While climate change is a growing global issue, people in the Arctic are already on the front lines dealing directly with its dramatic eff ects, as the sea ice—the lifeline of the North—retreats more every year. The coastal Alaskan communities featured in the film rely on the sea ice for transportation, food security and maintaining tradition ways of life now threatened by rapid climate change, he explained. "Lives and livelihoods in the North are tightly connected to the natural world through, for example, subsistence hunting and fi shing," said Loring. "Thus, while climate change does have implications for food security in urban areas of Canada and the United States, most people don't experience them in the same way. We see a small change in prices of food, but we have alternatives that people in the North don't. Unexpected or unprecedented variability in fi sh and game can be much more devastating to the health and household economies of local people (in the Arctic)." Loring's project, funded by a grant from the US National Science Foundation's Arctic Science, Engineering and Education for Sustainability program, examines life in northern regions ranging from Baffin Island, Nunavut to coastal Alaska. The first documentary is primarily focused on the northwest Alaskan coastal communities of Deering, Kivalina, Kotzebue, Nome and Point Hope. "We're talking to people about the biggest challenges they face for health, food, water and energy security, and trying to fi gure out how new natural resource development such as oil and gas impact these," said Loring, who created the series along with team member Craig Gerlach of the University of Calgary. "Th e project is driven by community needs and interests, and is very interdisciplinary, with a team that includes civil engineers, anthropologists, sociologists, sea ice geophysicists, climate scientists and educators." Sea Ice Secure is viewable online at sustainablefuturesnorth.org. Three more films on such topics as food security and subsistence practices are in development. James Shewaga is media relations specialist in University Communications.